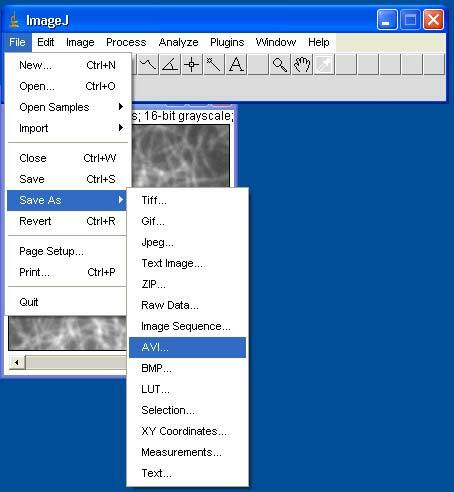 How to save a stack of images as an AVI file using ImageJ. 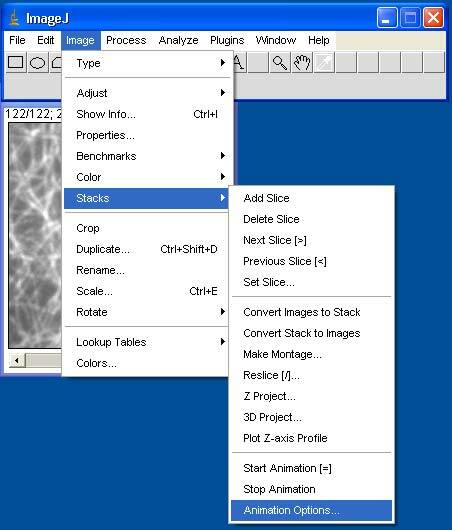 Open the stack or File-->Import Image Sequence. Adjust and crop the movie to your liking. Set the speed for the animation to play at. 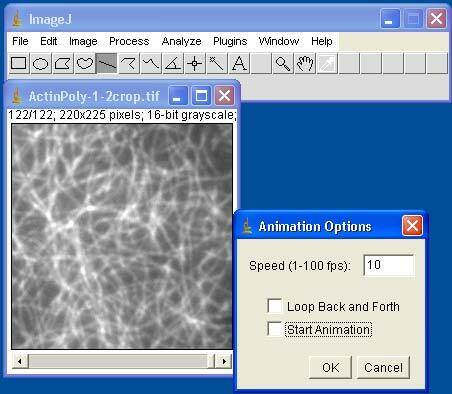 We like to use this software to compress the AVI files for friendlier use. You can get it at http://www.virtualdub.org/. Click here for example movies.